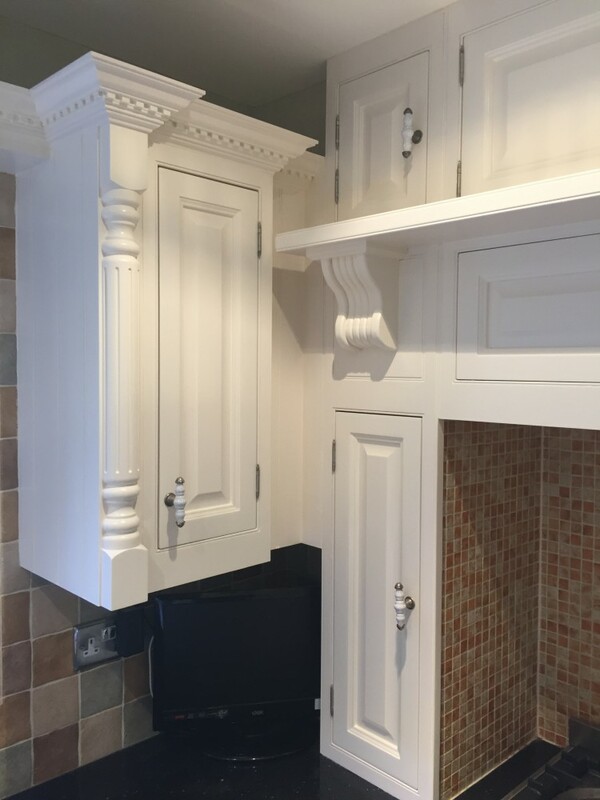 It’s been a while since posting on this blog (there have been a few additions to our http://www.handpaintedkitchen.gallery site), so I thought that it would be a good opportunity to show a cross-section of some of our Hand Painted Kitchens that we have already completed this year. The first project of 2016 was in a delightful barn conversion in a Worcestershire hamlet – not far from Droitwich… the project was originally a pine kitchen, finished with wax. 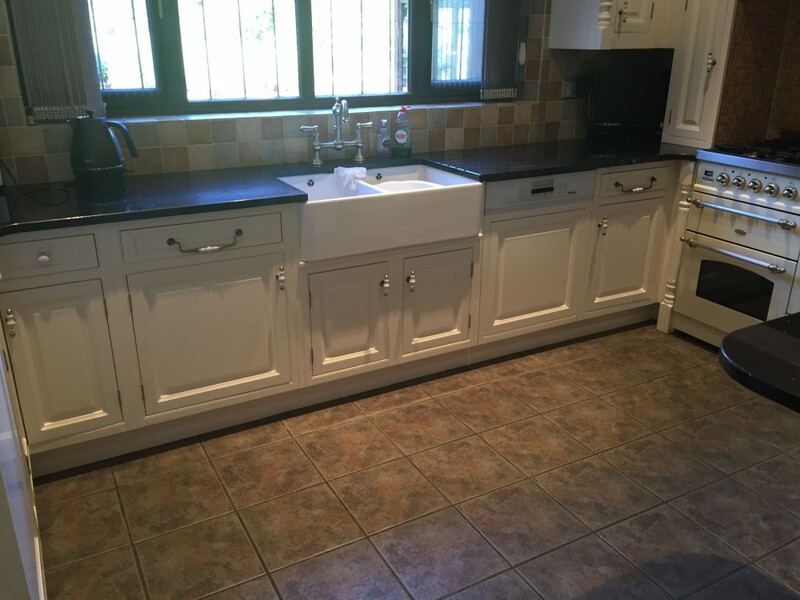 We believe the kitchen was installed by the builder some 20 years ago. 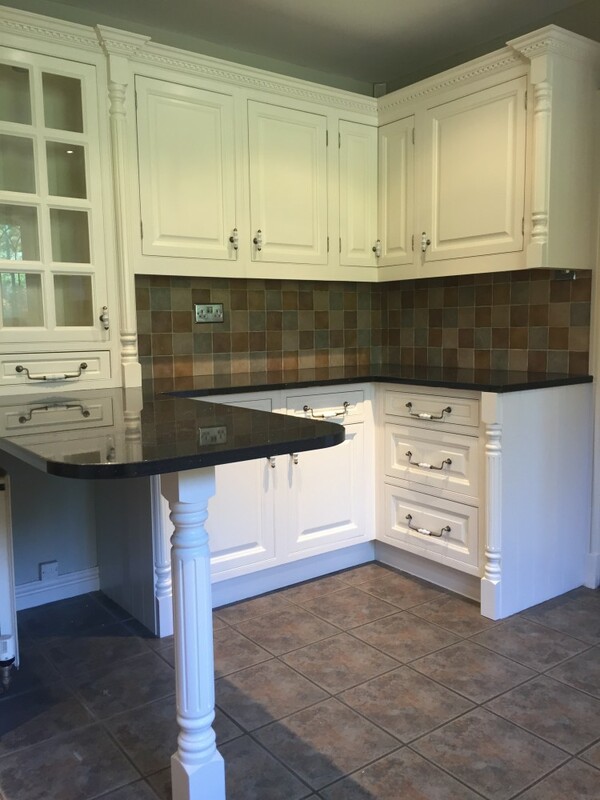 After an incredible about of degreasing and preparation, we applied our preferred Tikkurila Paint System to great effect – our client’s chose a two colour paint scheme, with the island being painted in the equivalent of “Lichen”, a great contrast to base and high level units. 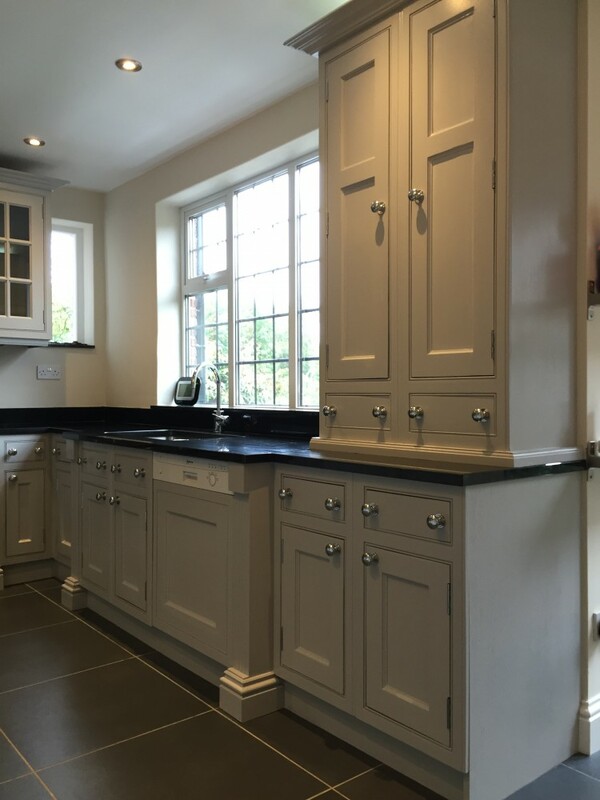 Following on from Worcestershire, we travelled to the beautiful spa town of Ross-on-Wye, Herefordshire to Hand Paint this traditional style pine kitchen and inject a little modernity into it. Our clients were working through the whole house, renovating it – a substantial Victorian Town House – and the kitchen was one of the last jobs on the list. 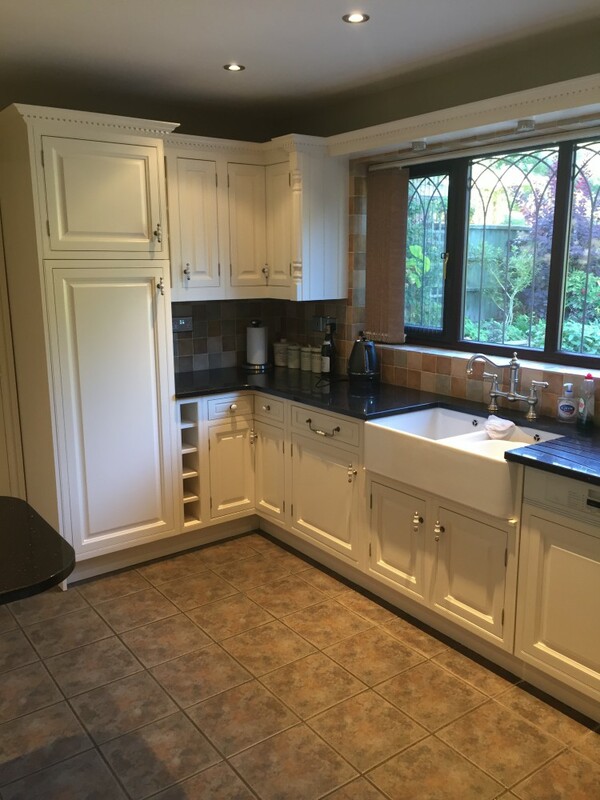 As you can see from the “Before” photographs above, the kitchen was in good condition, but required a little “TLC” to give it a fresh new look. The finished project looks stunning (please excuse our floor protection still being down in the photographs… our clients had just had a new Porcelain “Porcelanosa” floor installed and we were asked to leave the protection down, when we left, as there were still a few Tradesmen to work at their property. The finished project looks spectacular – a real transformation from an old tired pine kitchen to a bespoke masterpiece… great project, great location, great clients! The next project that we moved to, was a brand new installation by James Mayor Furniture (www.jamesmayor.co.uk); we are very fortunate, and proud, to be the James Mayor Furniture preferred Hand Painters. This project in Harborne, Birmingham is an MDF construction – built with exacting precision and care… we love working on JMF Kitchens and Furniture, being part of such a Professional outfit is incredible; from initial sketches through to Interior Design, the whole process is remarkable. Colours chosen by the JMF Interior Designer, for this project, were the equivalent of “Calluna” and “Brassica”, mixed into our preferred paint bases. 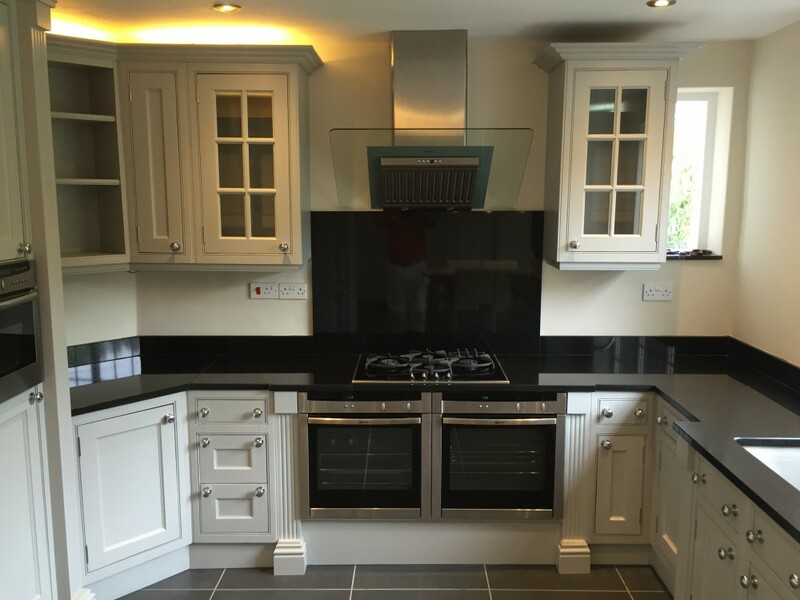 It was an honour and pleasure to hand over this beautiful kitchen to thrilled clients… all that was needed when we left was the beautiful “Amtico” flooring that was on order! 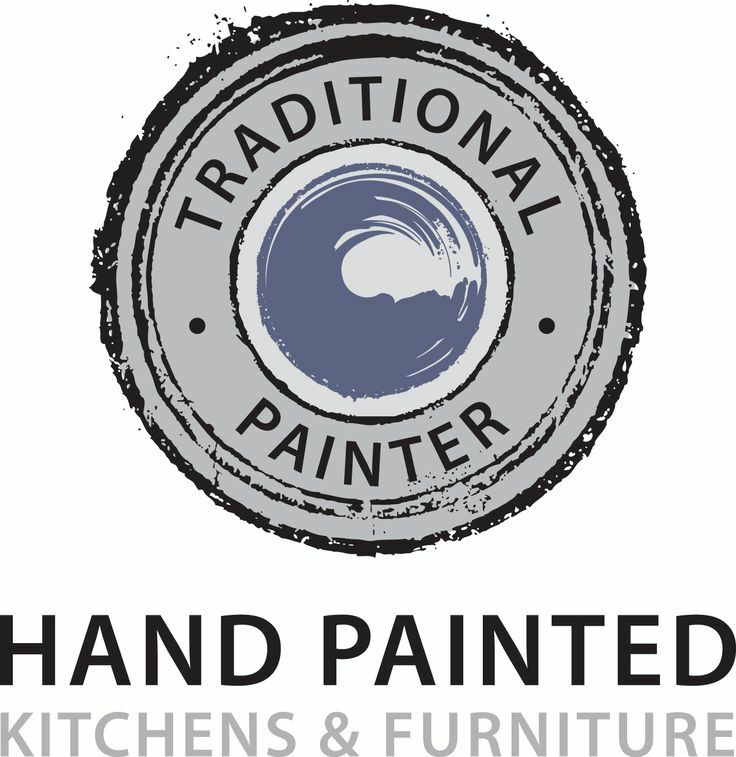 For more information about our work and how we go about it, please visit our website; handpaintedkitchen.gallery, Traditional Painter for the West Midlands. 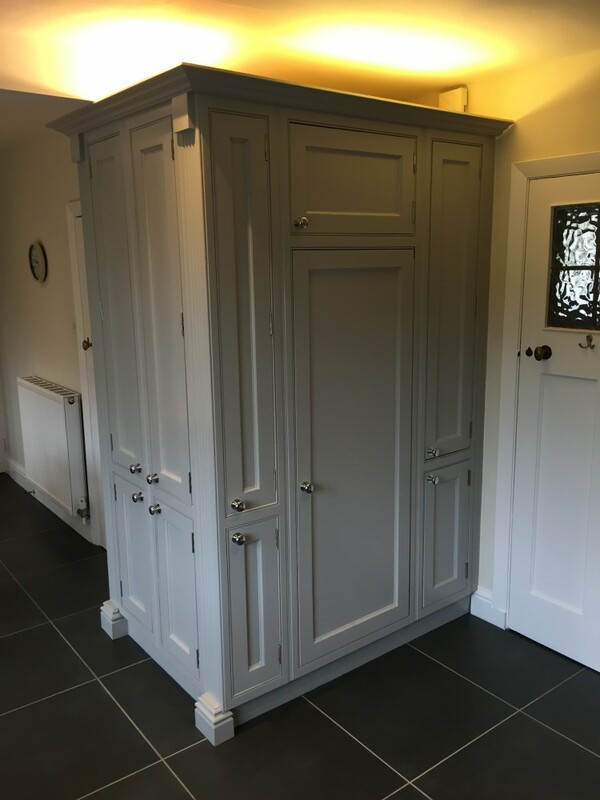 This entry was posted in Uncategorized and tagged Bespoke, bespoke finish, Bespoke Handmade Kitchen, Birmingham, Brassica, Calluna, Droitwich, Hand Painted Kitchen, Hand Painted Kitchen Specialist, handpaintedkitchen.gallery, Harborne, Hereford, Herefordshire, James Mayor Furniture, James Mayor Kitchen, Ross-on-Wye, Tikkurila, Tikkurila Helmi, Tikkurila Otex, Traditional Painter, West Midlands, Worcester, Worcestershire on February 21, 2016 by mjguestltdblog. 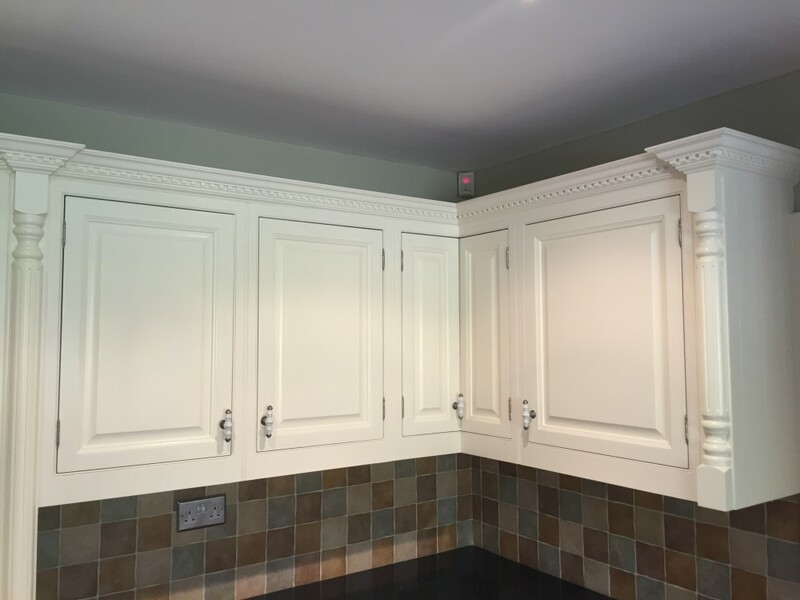 This Traditional Painter, Hand Painted Kitchen project, located in Shrewsbury is a great example of the kind of transformation Hand Painting can make to a tired kitchen. 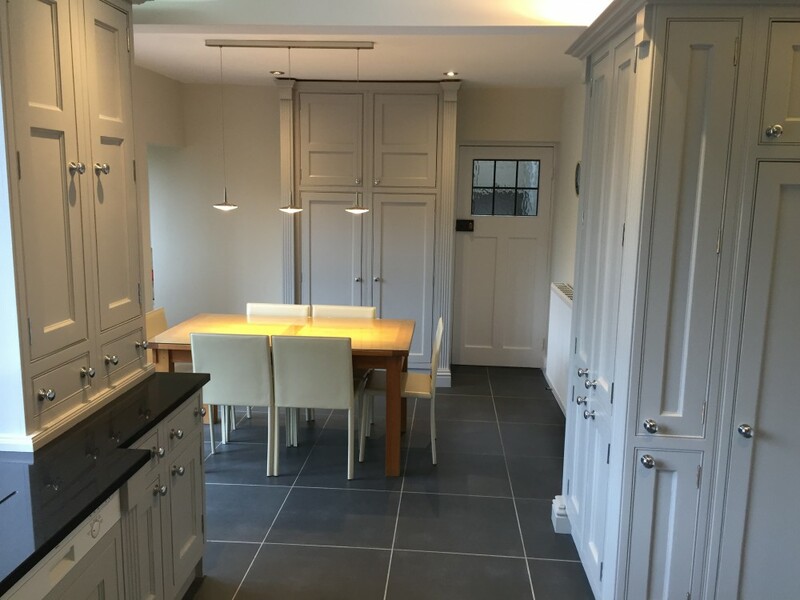 Originally installed by the current homeowners in 1999 – this solid Maple kitchen was bespoke-made by a local joiner/cabinet maker, to a high standard… my clients had lived with the kitchen and liked the way it was built and how it worked; it would have required a substantial investment, and disruption, to replace it with another kitchen of a similar standard… they just wanted it updating! Once I had protected all work surfaces and flooring, in my work area, with high quality lining paper; a non-woven liner called Wallrock. 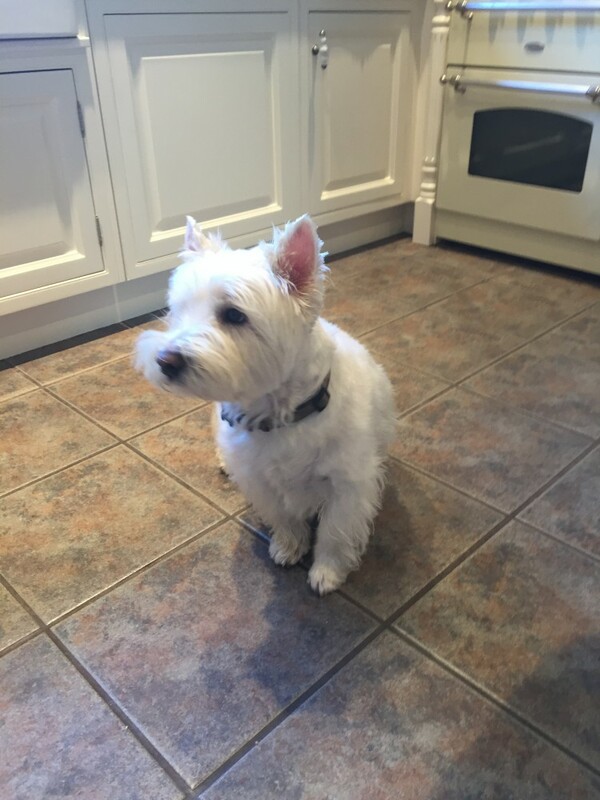 (I find this to be the best product, it’s strong and resistant to tearing, making it safer on floors, etc). All surfaces to be painted were then degreased with my preferred degreasers manufacturer by Fluxaf. When the substrate was “squeaky clean”, I broke out my “Dust-free” (99.9% dust-free) sanding system and fully sanded all surfaces ready for paint – in the first instance a shellac based, high adhesion primer called Pegaprim Isofix, tinted to the same colour as the top coat color; building up colour density from the first coat. 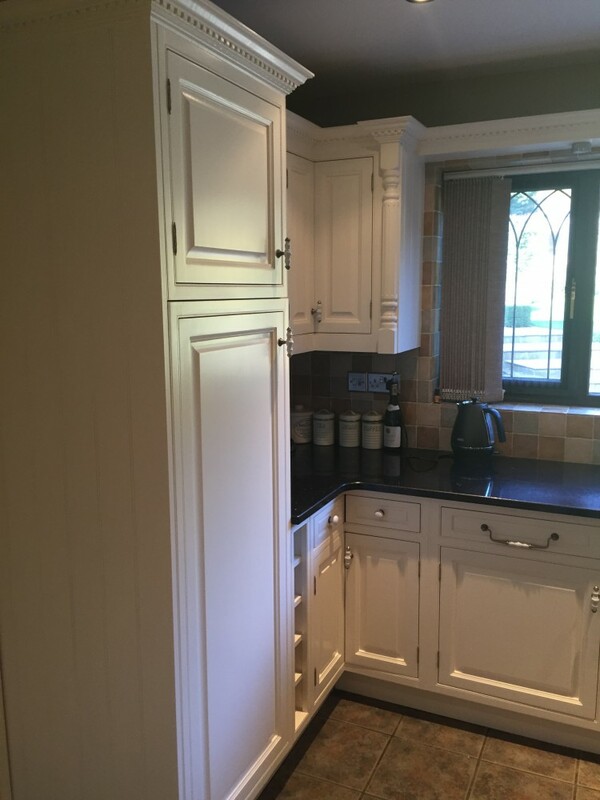 Top coats were provided by Tikkurila Helmi 30 – 30% sheen level – tinted to an equivalent colour to “Cornforth White”… Helmi 30 is my go-to finishing paint, it’s robust and highly abrasive and chip resistant – perfect for high traffic areas such as kitchens. 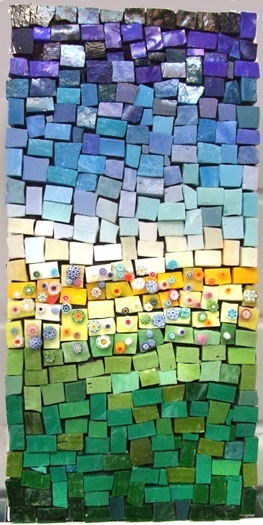 Please follow this link to see a video of the finished project. 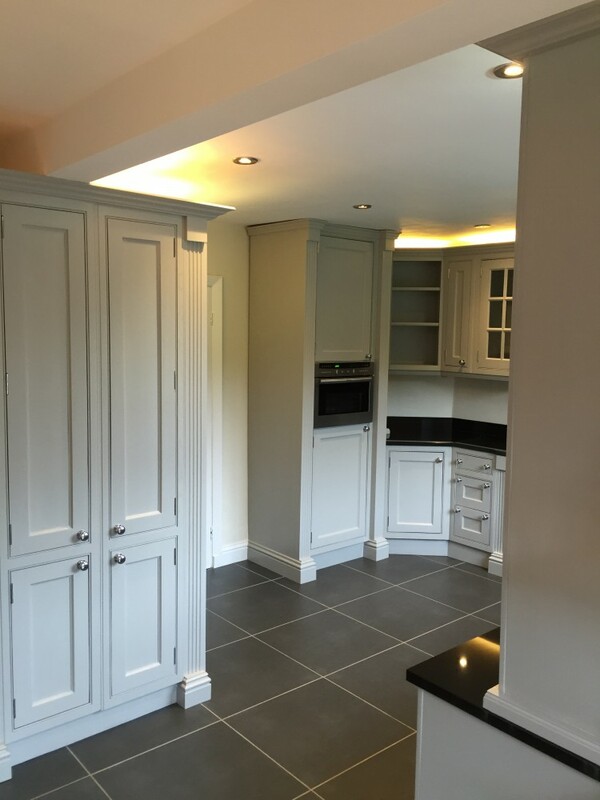 This entry was posted in Uncategorized and tagged Cornforth White, Dust-Free Sanding, Festool, Fluxaf, Fluxaf Pro Clean, Hand Painted Kitchen, Helmi 30, Isofix, Kitchen Painter, Maple Kitchen, Pegaprim Isofix, Shrewsbury, Shropshire, Tikkurila, Tikkurila Helmi, Traditional Painter, Wallrock, West Midlands on November 7, 2015 by mjguestltdblog.